Have you been feeling some website shame? Do you want a website that looks positively premium? Ready to stand out from your competitors? Congrats! You've come a really long way. What was once a dream of running your own business and being your own boss is now very much a reality. You're making steady income and putting your business together, one client at a time. You're so proud of all the progress you've made, but you also know that the internet is a loud, crowded, and competitive place. You want to be a FIERCE COMPETITOR in your market and get to the top of your industry, but you're still missing some pieces. The problem is, you’re stuck with your old, outdated branding & website, and it just doesn’t represent you anymore. Frustrated with the look and limited functionality of your current website. Afraid of wasting money on a designer that doesn't deliver, or just makes you look like everyone else in your industry. Jealous that your competitors are standing out and gaining so much traction. Overwhelmed at the prospect of reworking your entire website (or even managing a website project at all). Bored & impatient with trying to figure out web technology. You'd rather be working with clients and building your business! You KNOW that in order to have a radically successful online business, you need a unique brand and website design that's built to SELL (not just sit somewhere on the internet). But you’re already waaay too busy. You're focused on serving your clients at a high level, helping THEM create massive results, and you’re also investing time and energy marketing your business. So how can you POSSIBLY do it all? How can you effectively market, sell and serve your clients while maintaining your sanity? The truth is, most coaches and creatives can’t "do it all" no matter how hard they’ve tried, and it costs you tens of thousands of dollars in lost opportunities every single day. You just aren’t leveraging a powerful brand that captures and converts high-ticket clients. What you NEED is a brand strategist who understands design, technology and sales strategy. The opportunities are unlimited once you start scaling and becoming more visible. Imagine that. No longer having to wear all the hats (that wear you out). Imagine that. Only having to focus on the highest payoff activities so you can drive more revenue and referrals consistently. Imagine that. Having a professional design & content strategist in your corner, making sure you look and act the part (which means charging higher prices and working with only your ideal clients). Ready to book more sales calls than ever before, and see a sharp increase in your monthly revenue. Ready for new opportunities to present themselves, and to be seen as an industry leader. Ready to feel completely in control of your website, and thrilled to finally have an online presence that represents YOU and your unique style. Ready to freely promote your business and drive traffic to your website, knowing it's built to target your ideal clients and get them EXACTLY where you need them to go. Sounds great, but how is the Total Business Makeover different from other branding & website packages? I don’t just dive straight into the design process. Instead, we spend 4 weeks refining your brand & content strategy so that the final product perfectly represents you and speaks directly to your client niche. I never use pre-built design templates. I custom build each of my clients websites with their unique style, voice, and goals in mind. All of my branding & website services are completed by ME - not an anonymous team working under my name. I only work with themes that are user friendly and easy to update. I want you AND your VA to feel completely in control of your website once the project is done. 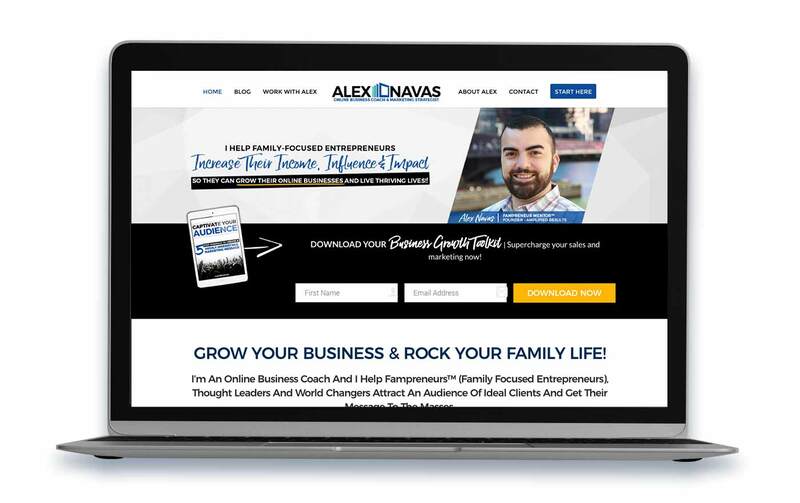 Alex had made the switch from real estate to business coaching and was really starting to gain traction with his business. He knew that to take it to the next level, he'd have to let go of his DIY Divi website and invest in a design package that would let him be as hands-off as possible. After all, he had a business to run. 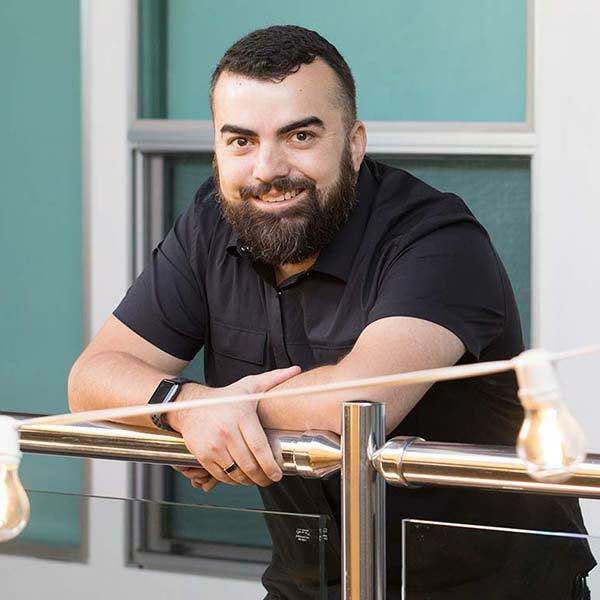 Alex drives traffic to his website through his blog and communicates via his newsletter. 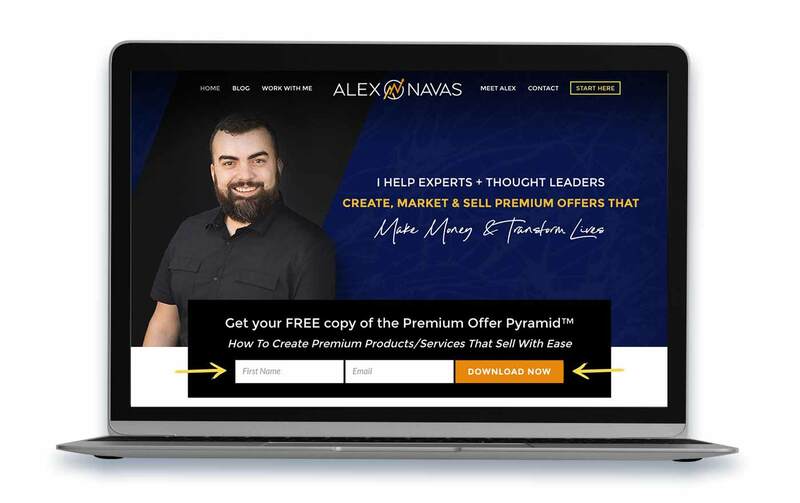 With this in mind, I structured the website to get visitors to 1) join his mailing list (to stay on his radar), 2) learn more about his expertise (via the blog and sales page), and 3) book a discovery call (main goal of the website). 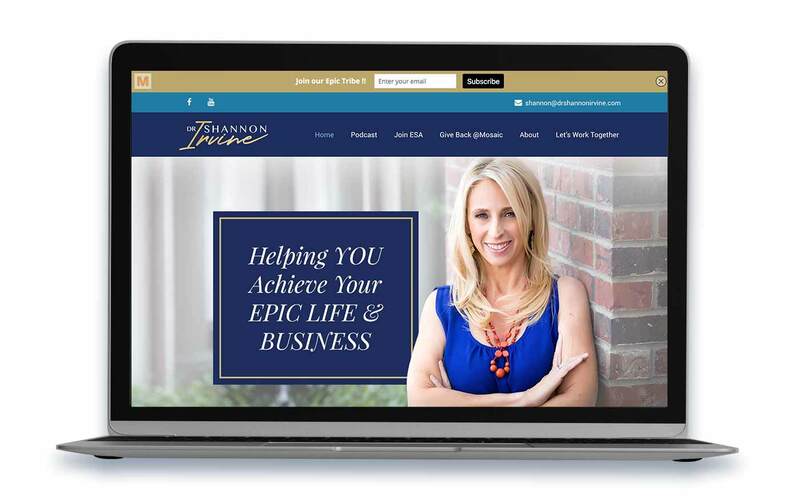 I wasn't sure if Laura would be able to capture my brand message, understand my market and then bring it all together to create a powerful online presence based on my own standards. Laura exceeded my expectations. 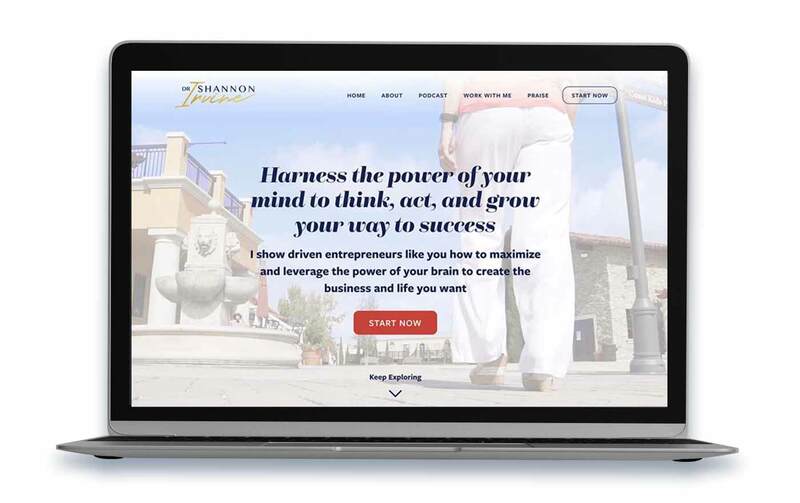 Her understanding of marketing, branding, design and technology came together to deliver a website that will take my business to the next level. Heck no - she was doing BIG things in her business and wasn't going to let her boring, disjointed website hold her back ANY longer! 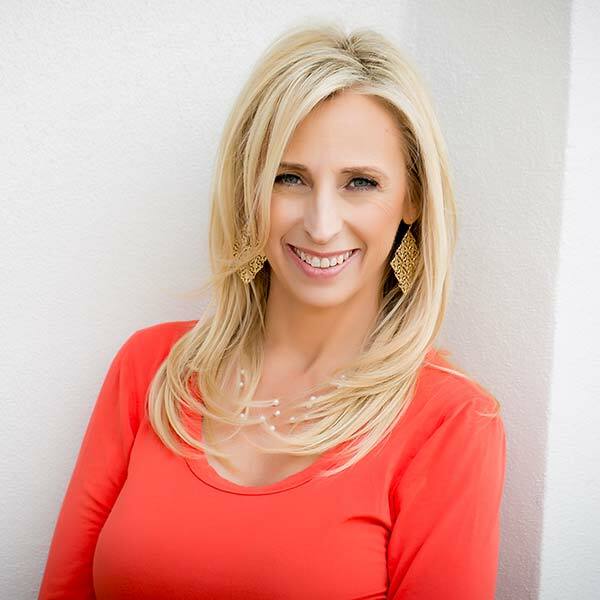 Dr. Shannon uses neuro-hacking resources to get people on her mailing list, and keeps up with her audience through her bi-monthly podcast. With this in mind, I structured her website around 1) showing off her 3 most popular resources, and 2) getting visitors to subscribe to her podcast. Laura, it’s beautiful. Oh my gosh, you are SO good at what you do. It’s like you pulled it out of my head, and there it is. It's absolutely gorgeous!